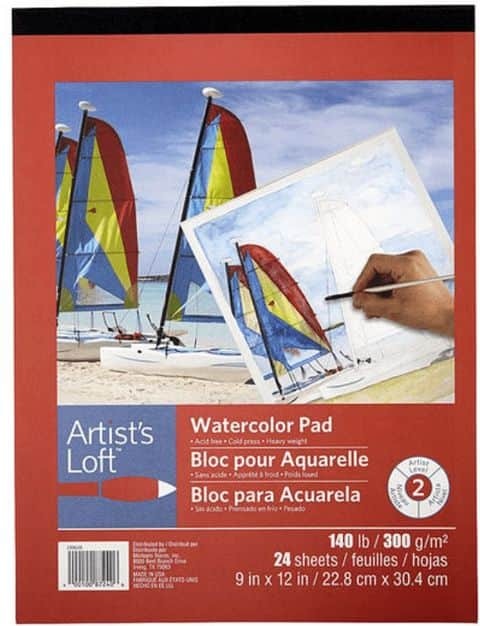 This is for Saturday’s Inspiration Challenge (IC564) on Splitcoast. I didn’t have time to get it finished & uploaded yesterday, so I’m a little late. Audrie also asked us to do something “different” than we usually do. 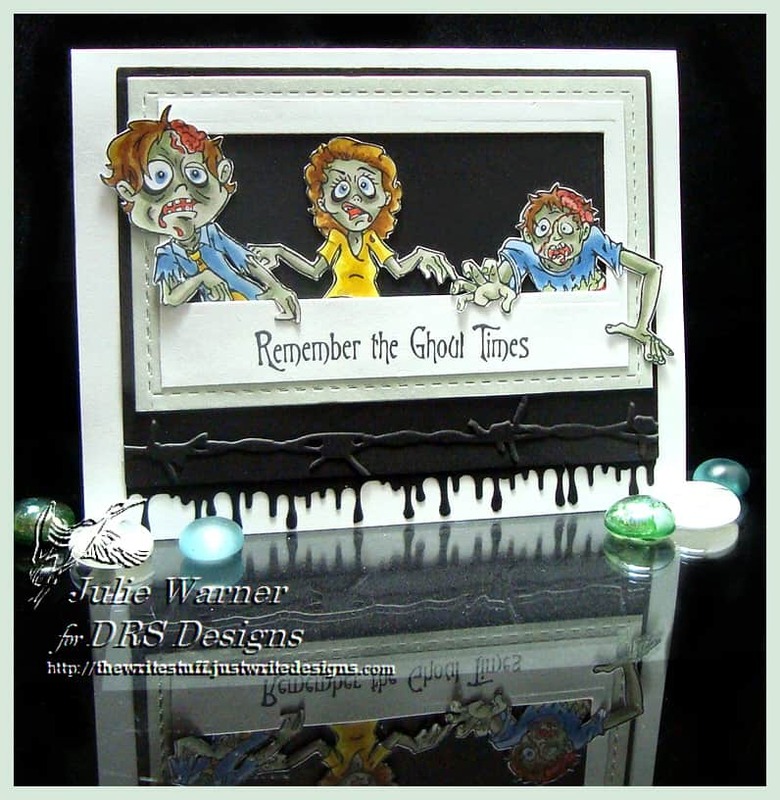 Though this is the second time this week I’ve used these creepy zombies, it’s not my usual style to make cards that are definitely on the creepy side. 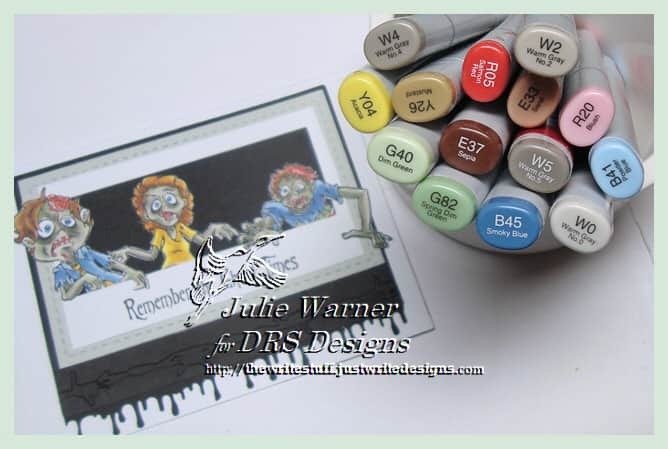 I stamped all the zombies, colored them, then fussy cut them. 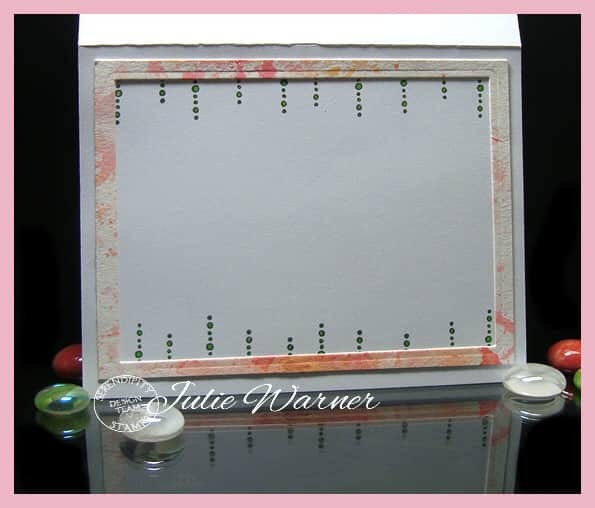 I had this little white window type frame left over from something & liked how they fit in it, so I stamped the greeting, added a sage green layer (it kind of matches their skin, don’t you think?) & a larger black layer. The black layer has a barbed wire fence embossed across it & the bottom edge was punched w/ a drippy goo punch. I think this family was probably a lot more attractive before the “ghoul times”, lol. 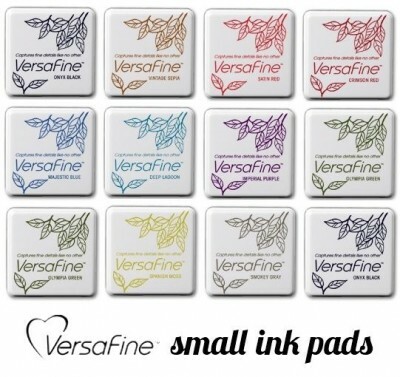 It’s my turn to host the Featured Stamper (FS503) challenge over on Splitcoast. A big congrats to Penni, the newest FS! I chose THIS to case because I really liked the colors. 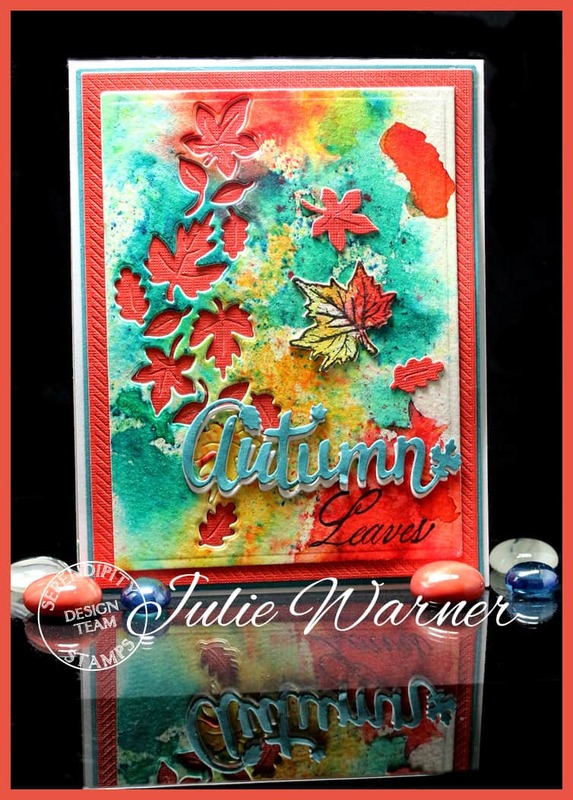 So I kept the colors, but used a water color background instead of designer paper & changed it from a birthday card to a fall card. The w/c bg was made by lightly misting the w/c paper, sprinkling the Brushos, then misting again, a little more heavily. 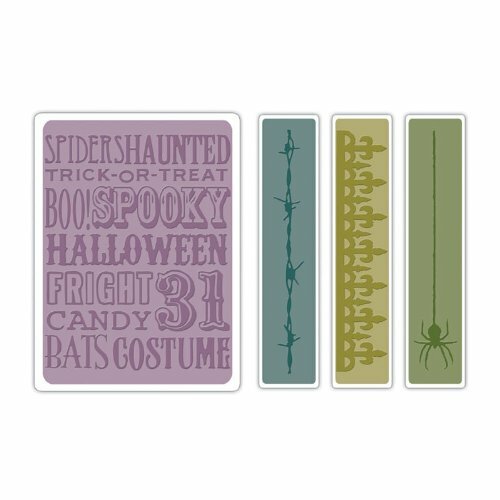 When dry, I die cut the whole panel w/ a large rectangle then die cut the Reverse Leaves die down the side. 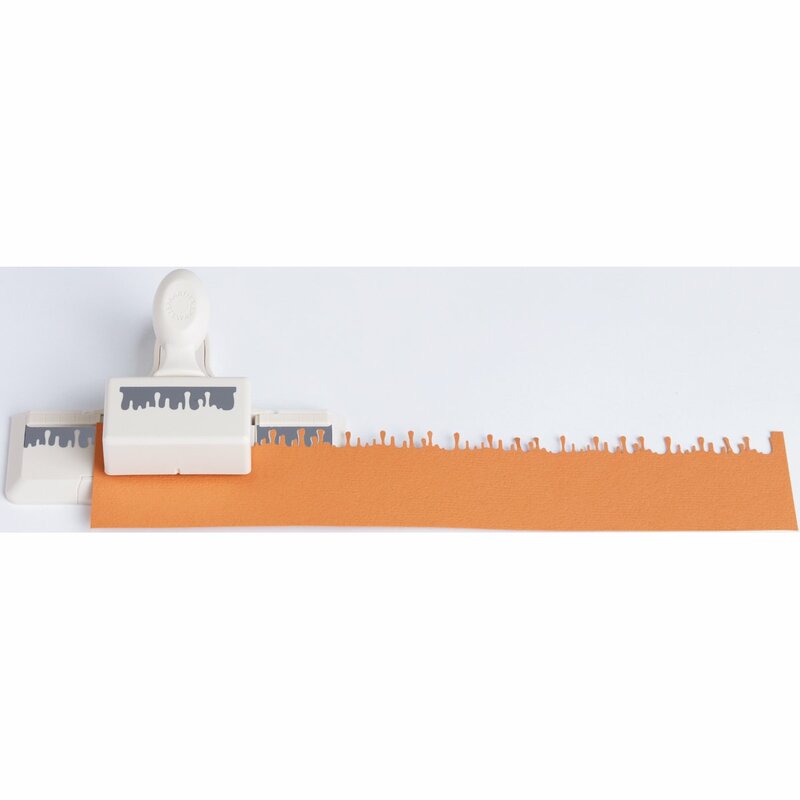 I lined this panel up on a die cut orange panel & put the leaves die back in place to cut through the orange panel. I wanted the leaf detail to show up when I put the orange leaves back in place. 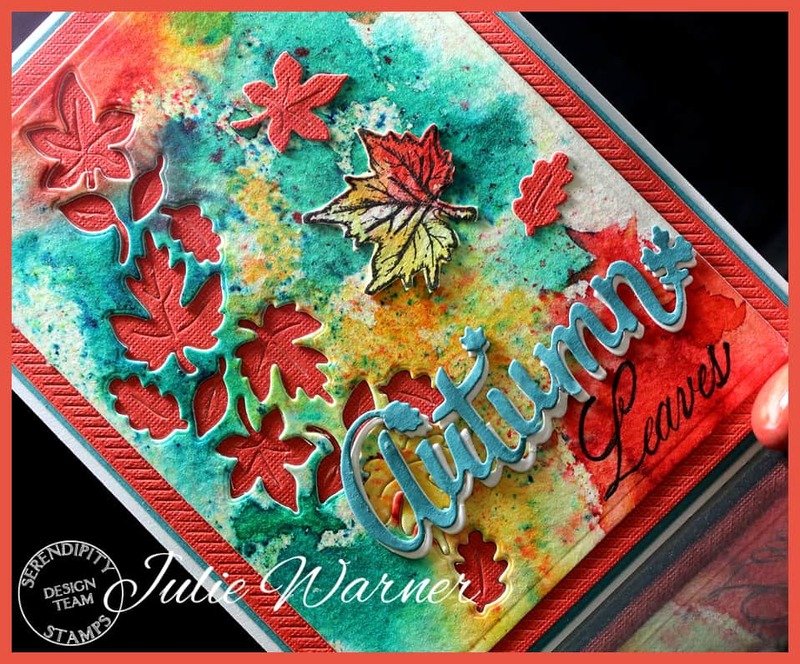 A stacked die cut Autumn was added & the other half of the greeting was stamped below it. 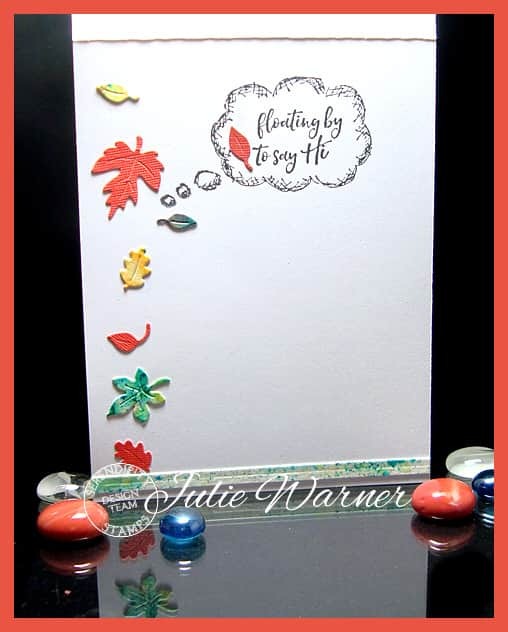 One stamped maple leaf was fussy cut & 2 orange leaves added. Today’s Ways to Use It Challenge (WT602) wants us to use Feet in recognition the reference to Hobbit feet in Tolkien’s The Hobbit. One of the first things I noticed on this zombie image was the feet on the left zombie. 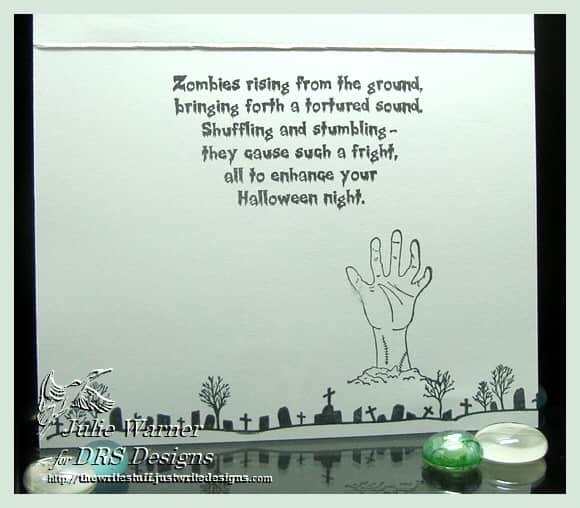 The second thing I noticed was the other zombie has no feet..actually no lower body, lol. 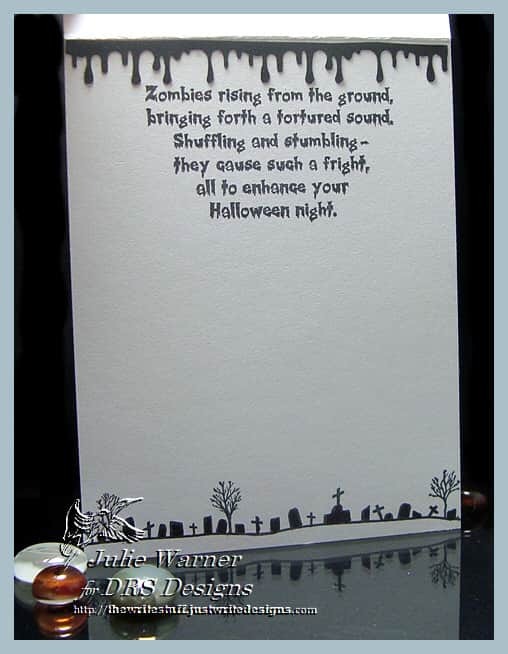 And since it’s nearing Halloween & the filming for the TV series The Walking Dead is filmed in my area, I thought this card would be fitting. 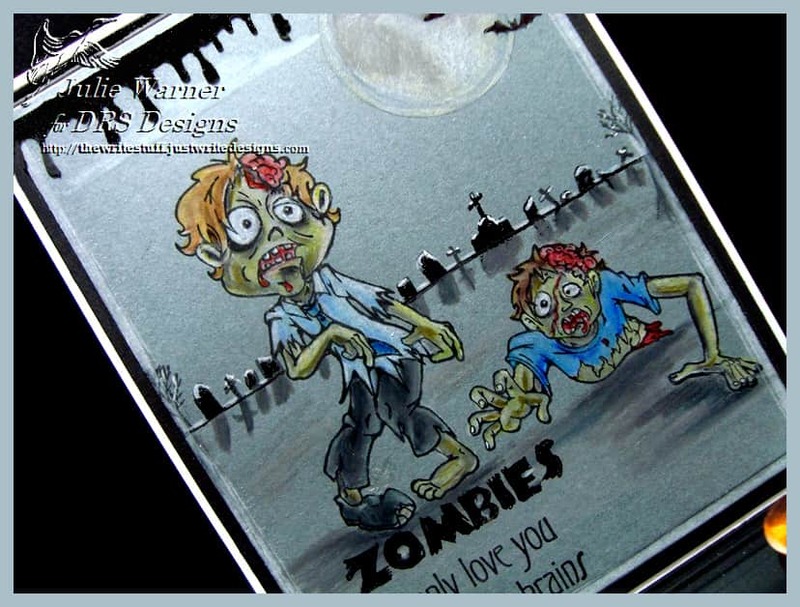 The zombies were stamped on gray card stock (using my Misti) & colored w/ Prismacolor pencils. 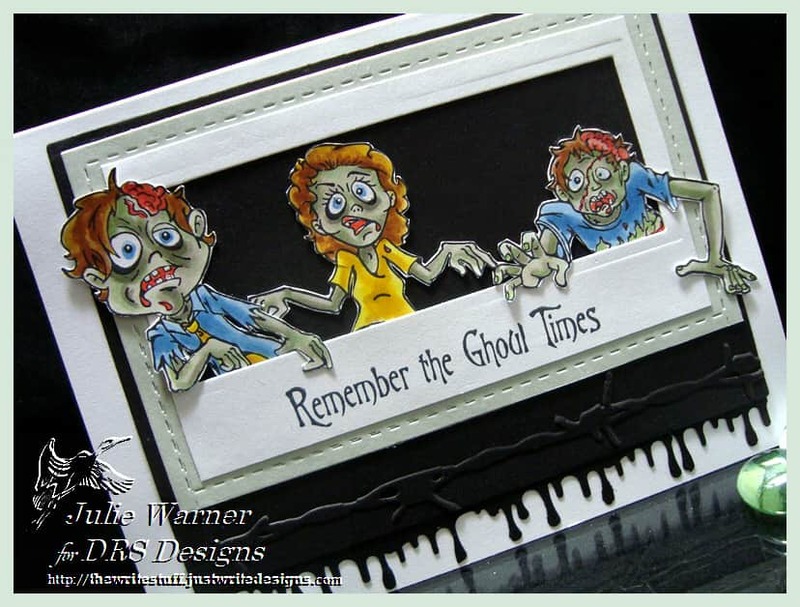 I stamped them again to bring back the details I tend to lose when using Prismas, then masked them & stamped the graveyard border behind them & the greeting below. 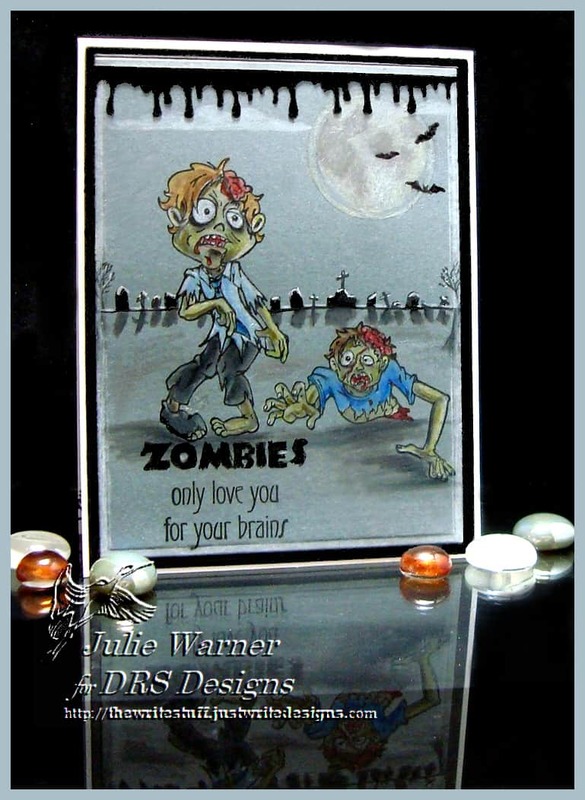 Again, I used Prismas to add the shadows & a white gel pen to add the highlights on the headstones. Prismas were also used to add the moon & clouds & go over the panel edge.